Scenes of jubilation greeted the Botswana High Court's ruling today in favour of the Kalahari Bushmen. The court ruled today that the Botswana government's eviction of the Bushmen was 'unlawful and unconstitutional', and that they have the right to live on their ancestral land inside the Central Kalahari Game Reserve. 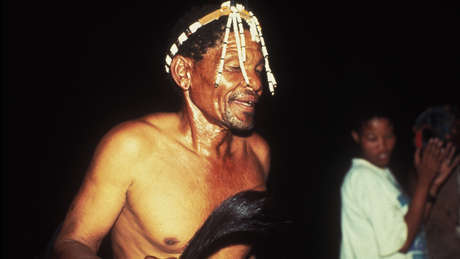 The court also ruled that the Bushmen applicants have the right to hunt and gather in the reserve, and should not have to apply for permits to enter it. However, the judges also said that the government is not obliged to provide services to Bushmen in the reserve. The court case has been the longest and most expensive in Botswana's history.